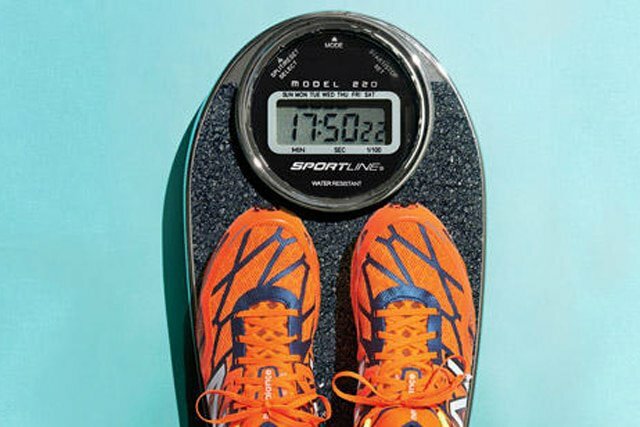 Improving your time is not as simple as eating less and running more. Here are some rules to get you on track. 1. You are an experiment of one. No-one else has to live your precise life, with your specific challenges, biochemistry, anatomy, injury history, calendar, boss, or family. 2. When something works, excuse-proof it. Running and weight-watching are tough; make the habits that work for you as easy as possible to practise. Keep tempting foods out of the house, out of sight, and out of mind. 3. When something stops working, stop working it. Give any new strategy at least a week before you call it quits. If you’re not seeing results from the strength-training routine you’ve been doing for two months, try something else. Record every run. Same goes with kilojoule-counting. A 2008 study in the American Journal of Preventive Medicine found that among 1 700 overweight runners, those who kept a food diary more than five days a week lost almost twice as much as those who didn’t. Scientists have shown it can take less than two minutes for a craving to disappear from your consciousness. If you’re lusting after chips, tell yourself you can have them in two minutes, then walk around the block. Chances are, the chip desire will pass. 6. Test your hunger with an apple. Are you truly hungry? If you are, an apple will satisfy you. If you’re craving something specific like chips, you’re probably looking for relief from something else, such as boredom. In a study published in the June 2014 issue of the Journal of Environmental Psychology, participants who spent time in a wooded, natural setting felt more restored and had better moods, more creativity and vitality, and lower levels of cortisol (the stress hormone) compared with those who spent time in an urban setting. A study published in the May 2012 issue of Obesity found that in a programme where 34 per cent of participants lost at least five per cent of their body weight, a powerful factor was “social influence”; that is, close friends with similar goals who acted as a team, worked out together, and exchanged pep-talk emails. If your eating and exercise habits are making you feel deprived, lonely, and irritable, those strategies will not work. Change something. 10. Set up non-food rewards. Make a list of five things unrelated to food, to celebrate your success. Get a massage. Make a date to see friends. Plan a trip. Keen to slim down for summer? Get started by joining the RW Run It Off Programme now!